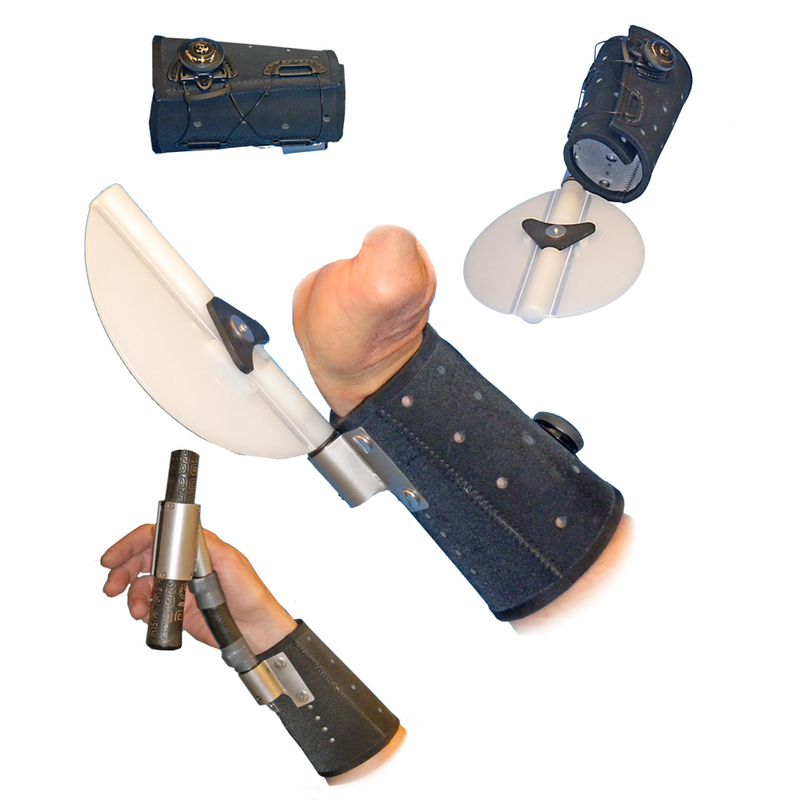 The PRO CUFF prosthosis is a unique, professional way to radically improve the function of persons with a wrist disarticulation, partial hand or injured, weak non functional hand with compromised gripping prehension. 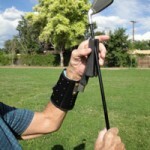 The PRO CUFF is five inches long, light-weight, strong and useable in the water. It comes complete with a high performance, BOA® cable closure system allowing it to conform to a wide range of forearm sizes. Constructed of proprietar low temperature, thermo-formable laminate it can be custom molded to a person’s forearm in just minutes. It can be re-heated and re-fit many times over as necessary. 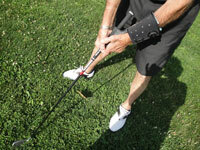 The PRO CUFF is the perfect solution for one handed persons wanting to be competitive again in golf, baseball, swimming, weight training, kayaking and many other activities. The PRO CUFF is designed primarily to be used with non-cabled type terminal devices but could be incorporated into a more complete prosthesis for such purposes. 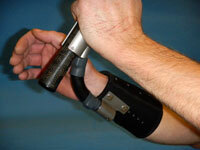 The PRO CUFF is also unique in that it allows for the mounting of accessory components (TDs) medially on the forearm rather than distally. No additional length is created! A high strength stainless steel bracket with a disconnect adapter allows for easy insertion and securing of devices to the PRO CUFF. Note this bracket system is be easily modified to accept Texas Assistive Devices® componentry. 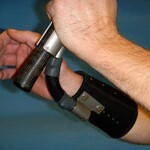 Note that in certain cases, depending upon the shape and bulk of the prosthetic accessory and the morphology of the user’s limb, an accessory may need to be modified to fit into the stainless bracket and or the bracket itself may require spacing or angling away from the PRO CUFF’s medial surface. 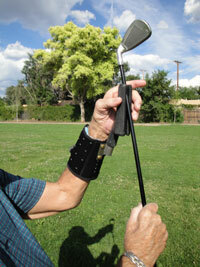 Click here for Prosthetist Tips – Reinforcing the ProCuff!